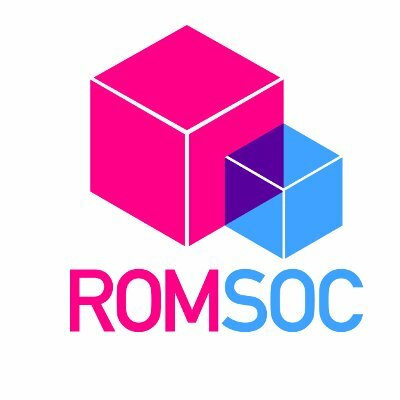 ROMSOC is a European Industrial Doctorate (EID) project in the programme Innovative Training Networks (ITN) and part of Marie Sklodowska Curie Actions within the Horizon 2020 programme. The ROMSOC EID Network brings together 15 international academic institutions and 11 industry partners and supports the recruitment of eleven Early Stage Researchers (ESRs). Each ESR will be working on an individual research project in the host institution with secondments related to their research in other academic and industrial partners of the network. The research is focused on three major topics: coupling methods, model reduction methods, and optimization methods, for industrial applications in well selected areas, such as optical and electronic systems, economic processes, and materials. The ROMSOC EID Network offers a unique research environment, where leading academics and innovative industries will integrate ESRs into their research teams for the training period, providing an excellent structured training programme in modelling, simulation and optimization of whole products and processes. Efficient computational strategies for complex coupled flow, thermal and structural phenomena in parametrized settings (ESR08): Present and future efforts in simulation-based sciences are dedicated to hierarchies of complex multi-physics problems, as well as parameterized systems characterized by multiple spatial and temporal scales. New ROM methodologies are required for coupled and parameterized problems in industrial and medical sciences. This concerns in particular fluid-structure interactions and thermo-fluid-dynamics and the use of these reduced models for Fluid-thermal phenomena. Objective of this research project are the numerical simulation of the evolution of the fluid using a turbulence and multi-phase model. A transport passive scalar phenomenon will also be modelled in the problem. Moreover, modelling and simulation of 3D thermal-fluid-structure phenomena will be developed. Numerical simulation will be performed on free or commercial software packages of proven quality. The objectives of the research also include reduced order modelling (computational, geometrical and parametric) for hierarchies of coupled multi-physics problems and the construction of test cases as well as carrying out numerical experiments. Coupled parameterized reduced order modelling of thermo-hydro-mechanical phenomena arising in blast furnaces (ESR10): In the blast furnace process knowing the thermo-mechanical behaviour of the fluid-channel ensemble or of its hearth walls improves process efficiency. The parameterization of developed models with respect to geometry design of several channels or hearth walls and to their material types is essential in order to quickly transfer the results to the design of new blast furnaces. The project focuses on mathematical modelling of thermo-hydro-mechanical phenomena arising in blast furnaces during the casting. When fine coupled models are available then for the simulation reduced order models are needed. These have to be constructed with efficient methods that preserve the coupling and the parameter structure. The project focuses on model reduction and numerical simulation of thermo-hydro-mechanical effects. PARTNERS: ITMATI (Spain), University of Santiago de Compostela (Spain), SISSA (Italy), ArcelorMittal AMII (Spain), Danieli Research Center (Italy). PEOPLE INVOLVED: Prof. Gianluigi Rozza (SISSA), Dr. Ing. Michele Girfoglio (SISSA), Prof. Peregrina Quintela Estèvez (ITMATI), Prof. Patricia Barral Rodiño (ITMATI), Ing. Alejandro Lengomin (AMII), Ing. Tomàs Sìmaro (AMII), Ing. Gianfranco Marconi (Danieli Research Center), Ing. Federico Bianco (Danieli Research Center), Mr. Nirav Shah, Mr. Umberto Morelli. OTHER PARTNERS: Johannes-Kepler Universität (Austria), INRIA (France), University of Bremen (Germany), Bergische Universität Wuppertal (Germany), Technische Universität Berlin (Germany), MathConsult GmbH (Austria), Friedrich-Alexaner Universität Erlangen-Nürnberg (Germany), Politecnico di Milano (Italy), Weierstrass Institute for Applied Analysis and Stochastics (Germany). You can have more informations on the project website.